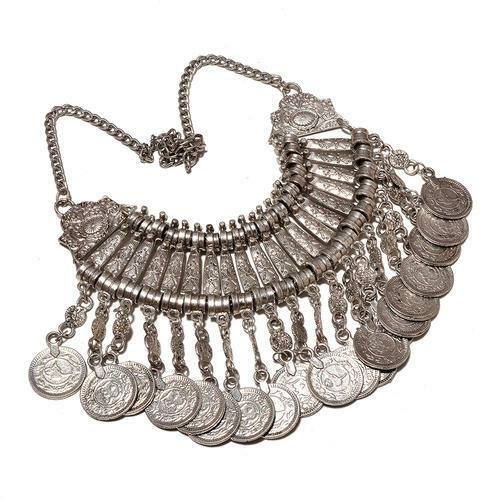 Established in the year 2015 at Jaipur (Rajasthan, India) as a Sole Proprietorship firm, We “Shree Shyam Handicraft” are a leading manufacturer of a wide range of Mala Necklace Set, Beads Necklace Set, German Silver Jhumka Set, Silver Plated Bali, German Silver Stone Necklace Set, etc. Offered range of products is highly appreciated among our valued clients owing its elegant design, fine finish, alluring look, etc. Under the guidance of “Mr. Nitin Israni” (Proprietor), we have gained huge clientèle across the nation.